It’s been a long time since I’ve written any Mission Organization posts and that’s honestly because life has been so incredibly crazy over the last six months that organizing wasn’t my focus. But, now that the girls are back at school, it’s time for our days to be more structured. I’ve been making their lunches every night and that seemed to be working. But then Ella (who is 6) wanted to make her own lunch. 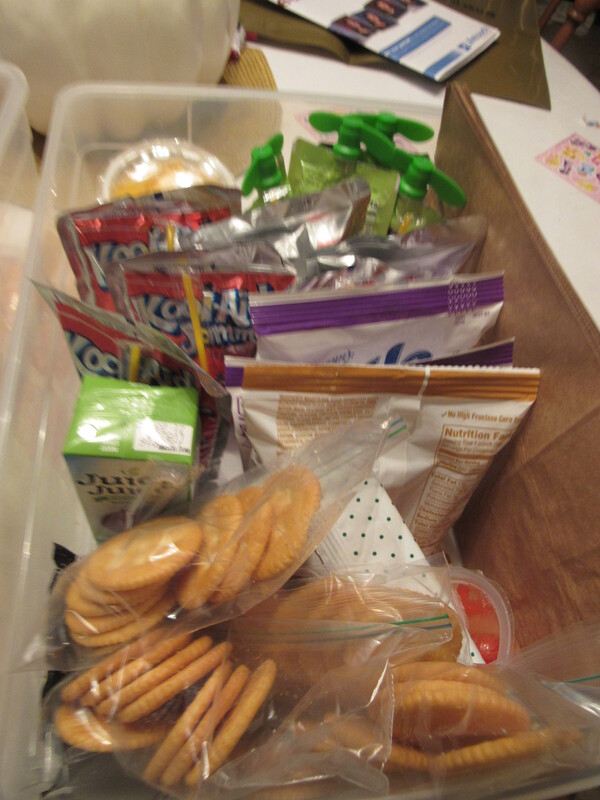 Since both girls are in nut free classes (and I don’t want her eating a Fluff sandwich every day), I tried to set up an easy way to organize their lunch making supplies so they fell involved, but we still have control over what they take to school. 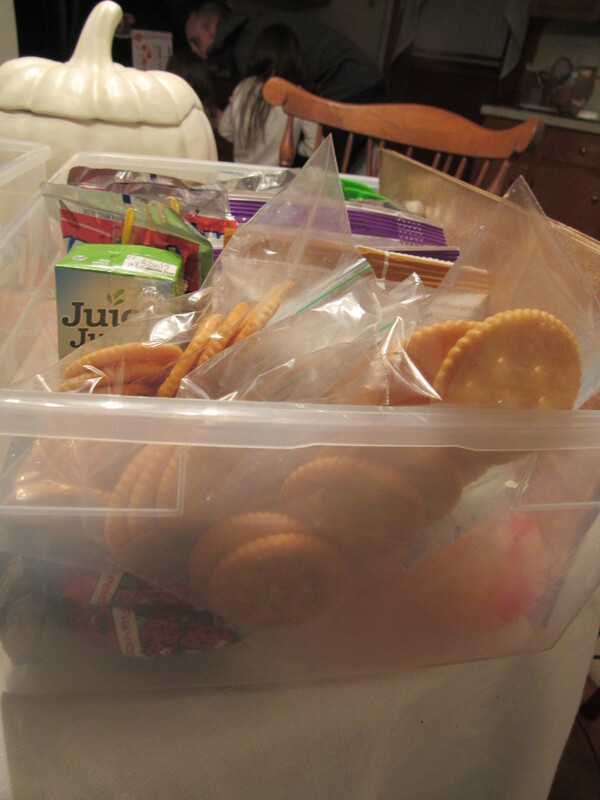 I used all supplies we have around the house to gather up their supplies and now on Sunday I put everything together for the week. I haven’t decorated or labelled the boxes yet, but that will come in time. I really wanted to first make sure this worked. I’ve found that besides saving me time during the week, I also know on Sunday that we have everything they need. No more Thursday night runs to the grocery store because we realized at 9:00 that we were out of juice boxes. I have two Men’s Shoe boxes from the Container Store (one for each girl). We have lots of these boxes around the house in different sizes. They are super sturdy and so versatile. Since this was Sunday, you can see that her box is very full! Ella also needs to bring her snack in a paper bag with her name on it (we try to reuse them as much as we can). She writes her name on the bag herself and there’s a small supply in the box waiting for her. 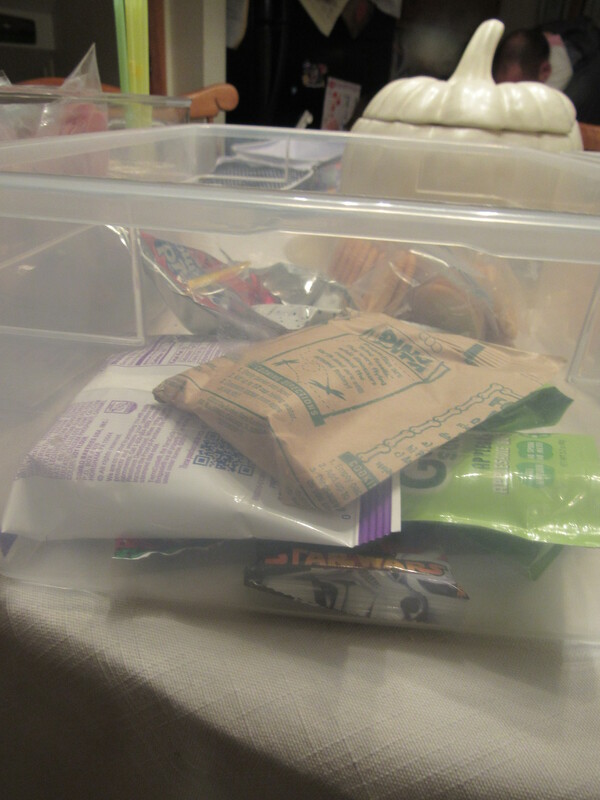 Ava’s box is similar to Ella’s but a lot emptier because she’s not bringing as many drinks and snacks with her. 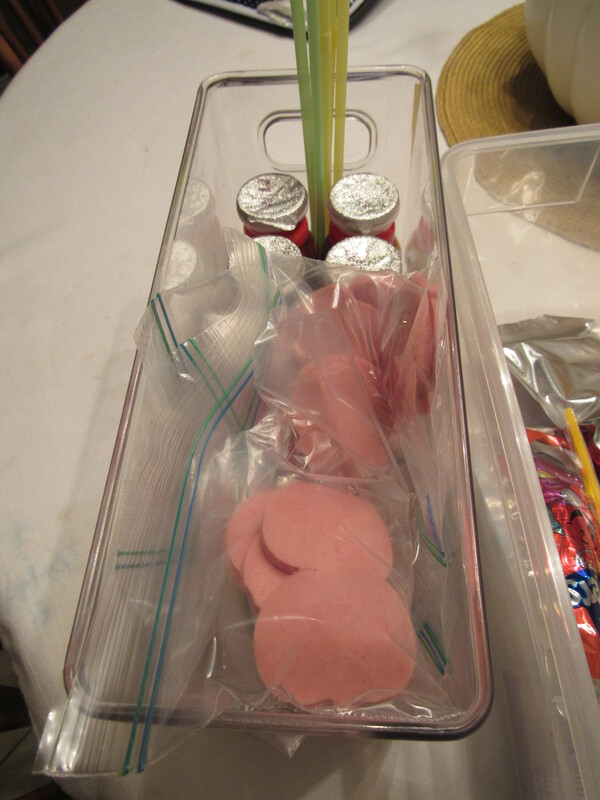 I have a third box for the fridge full of their cut up lunch meat and their yogurt drinks with the straws. How this works: Each night after dinner, the girls take out their lunch bags, empty out any trash that made its way home and I take out all three boxes. I help direct them so they don’t forget anything or end up with too much of something. The next morning, all we need to do is grab the lunch boxes out of the fridge and add ice packs. We are on week two and this is working great. It takes me no more than 30 minutes to assemble everything on Sunday and now I go into the week with one less thing to worry about. The girls love “making” their lunches and I love the independence they are gaining from this. 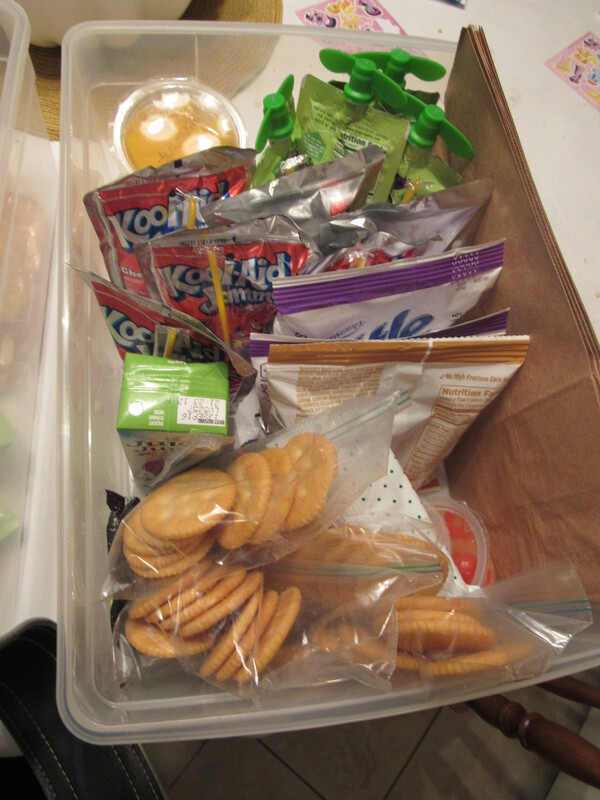 What do you do to make school lunch packing easier?